WhattaPlay Inc. Complex social site with extensive database driven dynamic content. The feature list is extremely extensive. Time and Attendance (ASP.Net C# / SQL Server) US Army Corps of Eng. 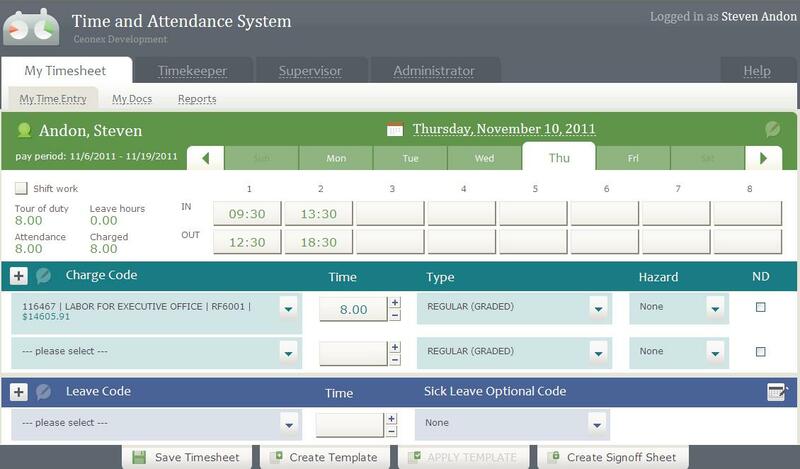 The Time and Attendance System was designed for use within an organization that tracks time for both attendance and charging purposes. It is highly integrated with the Corp's Financial Management System. The system supports 1200+ concurrent users without noticeable performance degradation. AJAX technology was employed to limit web page refreshes. The system includes integration of Active Directory data with the Corp's Employee database to guarantee accurate and timely employee data and security. The Ceonex Time and Attendance System was compared to the other top Time and Attendance systems around the Corps by an internal review committee. Their report found the Ceonex system best and lowest risk in every category and "in a class by itself".